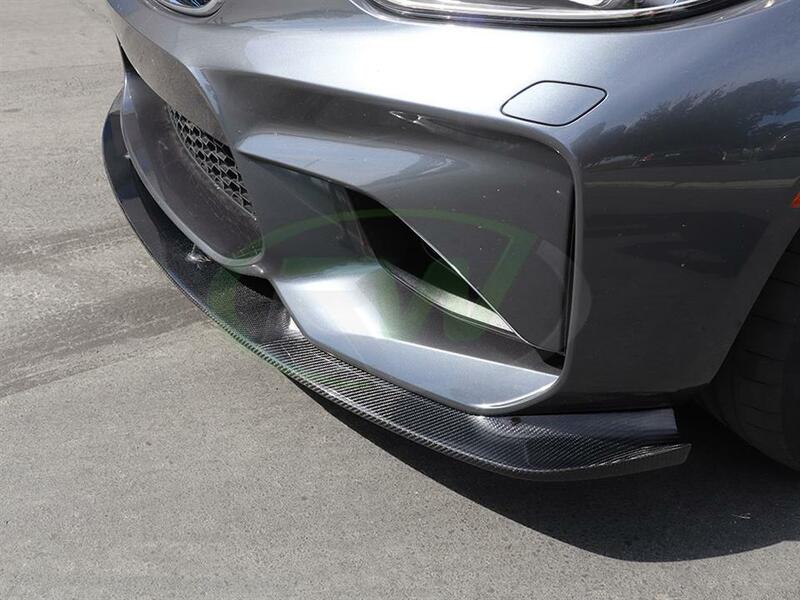 Get your hands on one of our 3D style carbon fiber front lip spoilers for your BMW F87 M2. 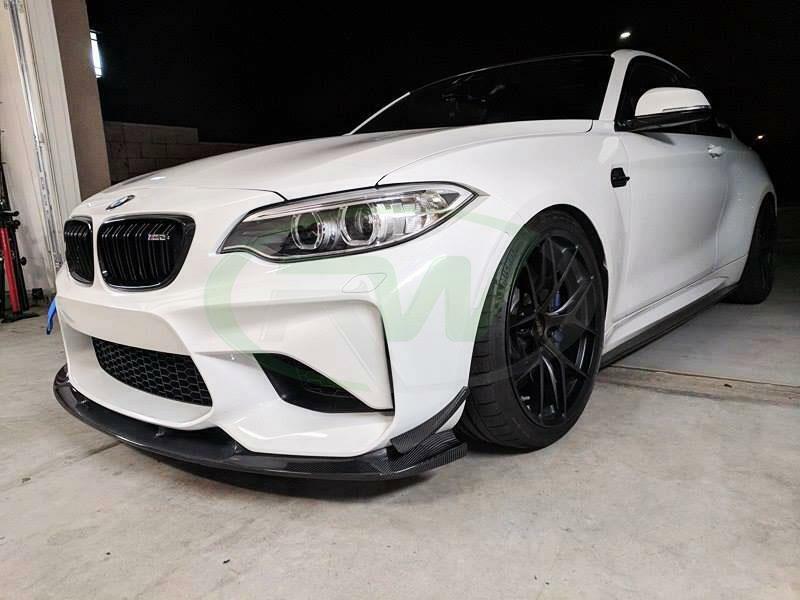 This front lip can install on your M2 in under 60 minutes and in no time your ride will be looking far more aggressive. 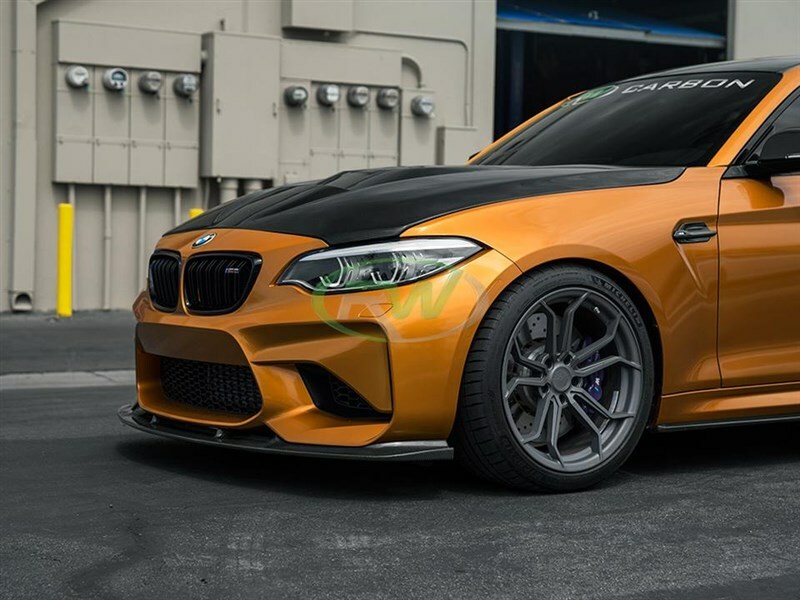 No modifications or cutting is require. 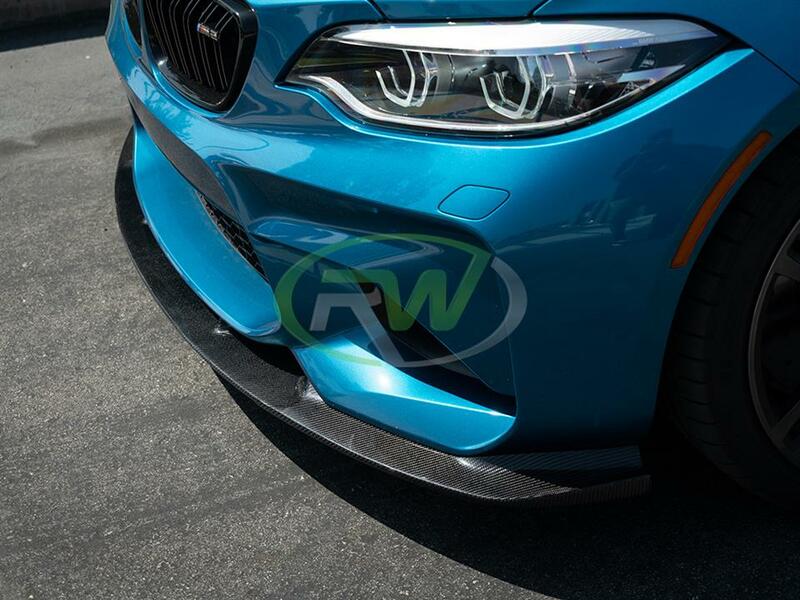 Simply mount the lip to the bottom of the bumper and using self taping screws for installation. 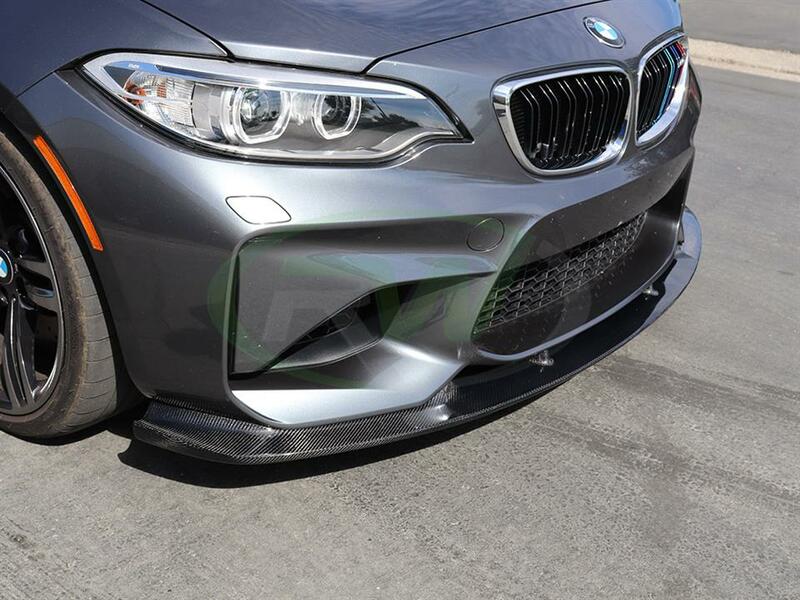 This front lip is made using the same 2x2 carbon fiber weave as our other M2 products so everything will match. 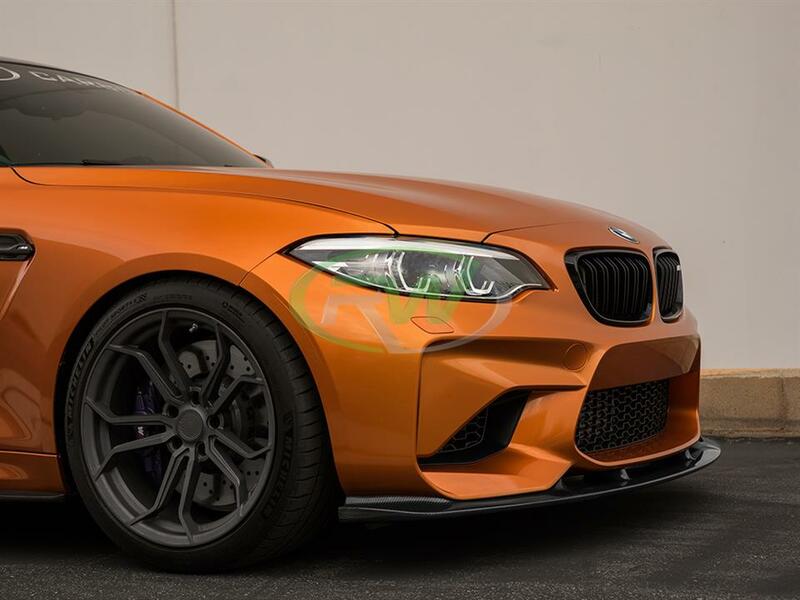 Once each piece is constructed we add a clear coat and take it through a multiple polishing stage that leaves the product shimmering. Get yours today and see the difference this 3D style front lip will make on your BMW F87 M2. 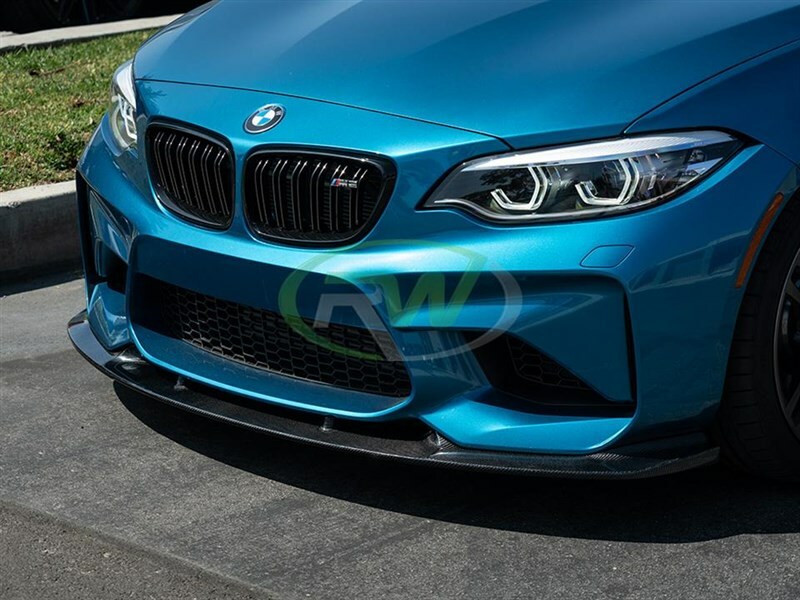 The front lip simply installs to the bottom of your BMW M2s front bumper using self taping screws. 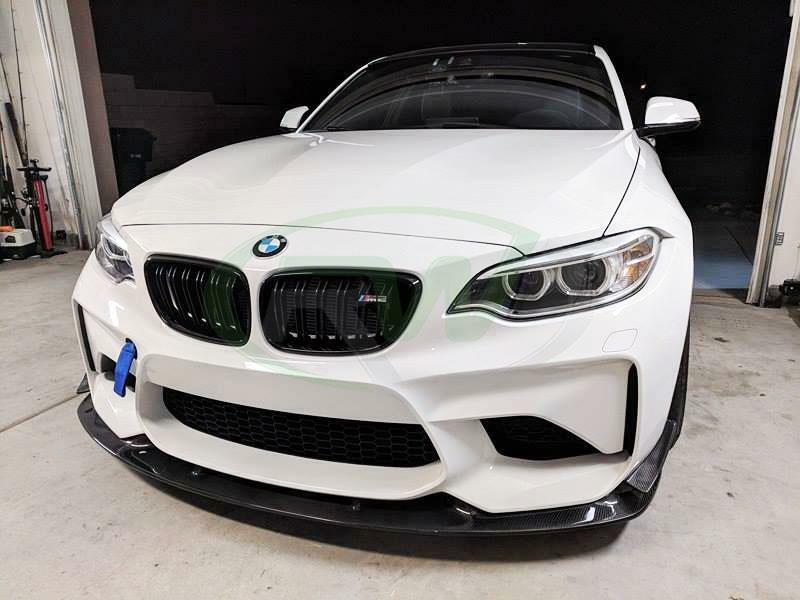 Installation time should take under 1 hour. 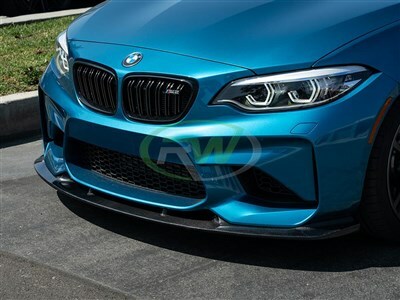 We suggest professional installation. 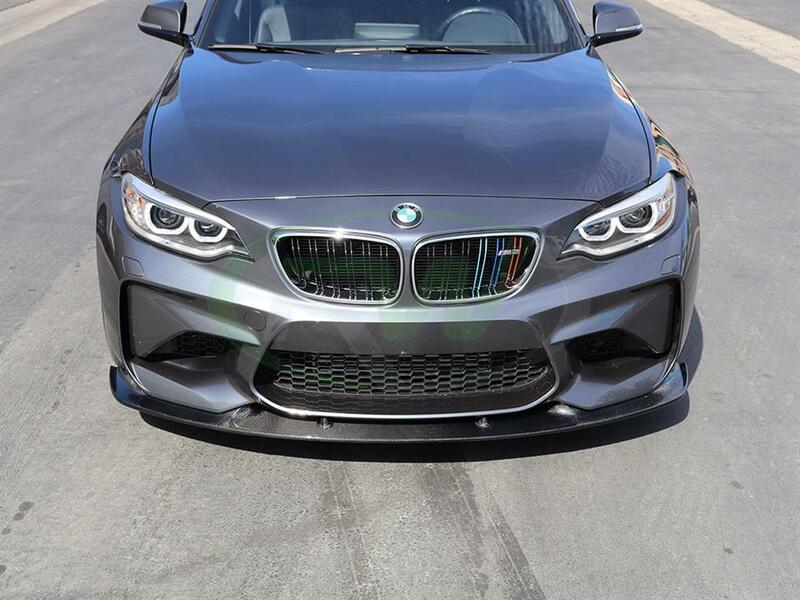 We know there are many companies out there claiming to have the best BMW M2 carbon fiber lip on the market. 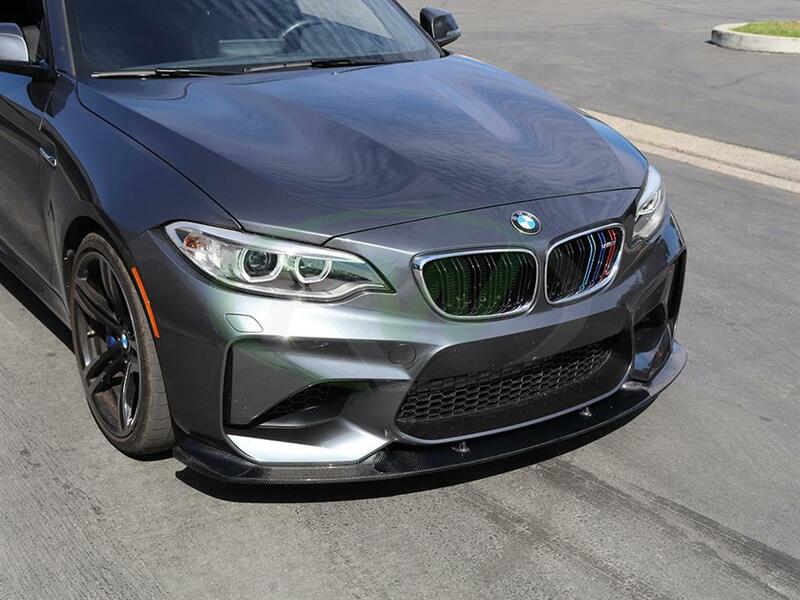 We live by our moto, "One Goal, One Focus - Carbon Fiber." 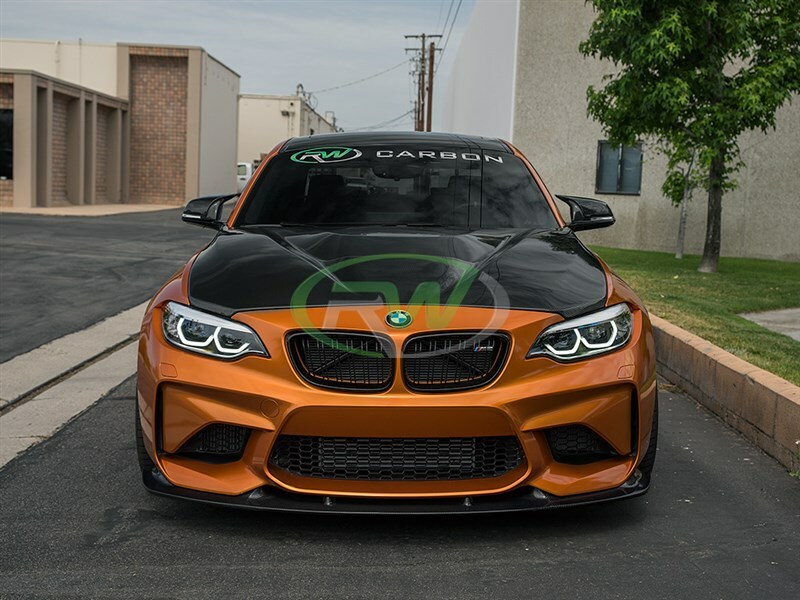 By only selling carbon fiber items this allows us to put all of our time and resources into providing the best quality BMW F87 M2 CF parts at an impressive cost to quality ratio. 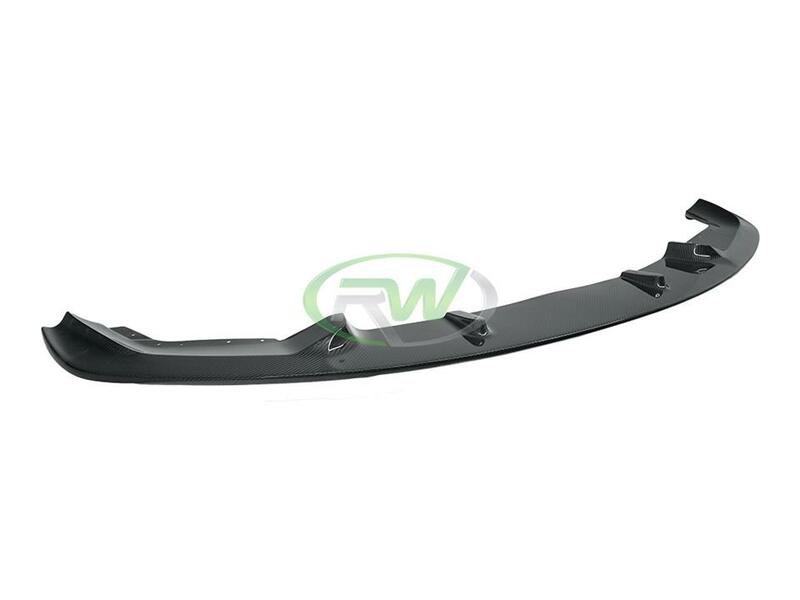 All parts we ship out are first quality inspected at our California warehouse. 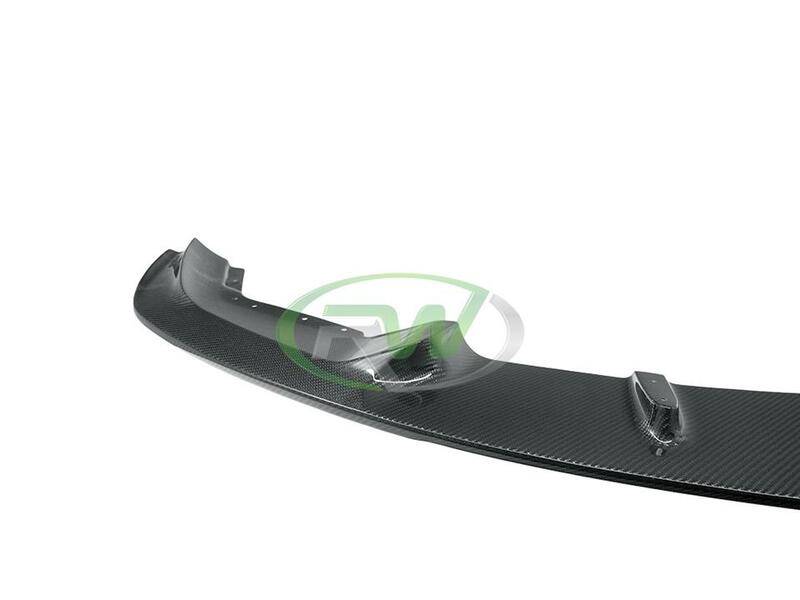 Our inspection ensures we do not send out any m2 carbon fiber parts we wouldn't personally install on our own vehicle. 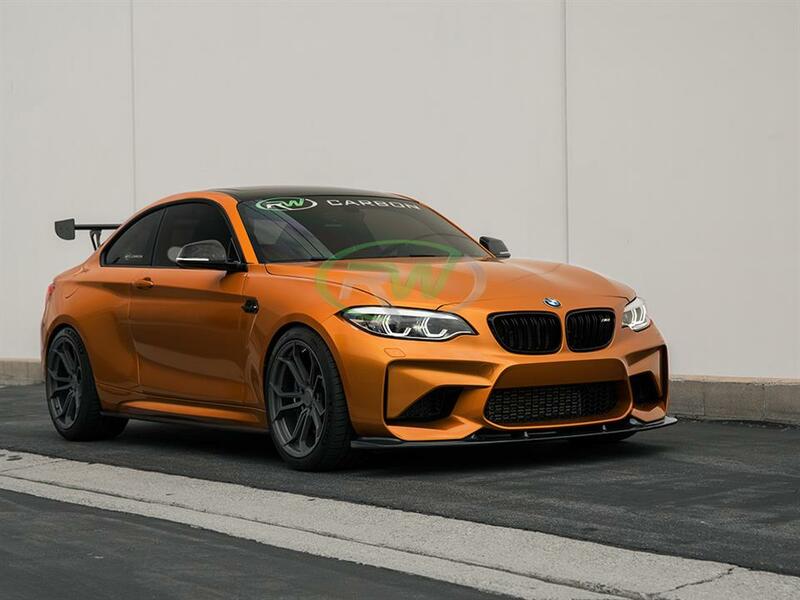 We are so confident in our BMW M2 carbon fiber items we back everything we sell with a fitment and quality guarantee. 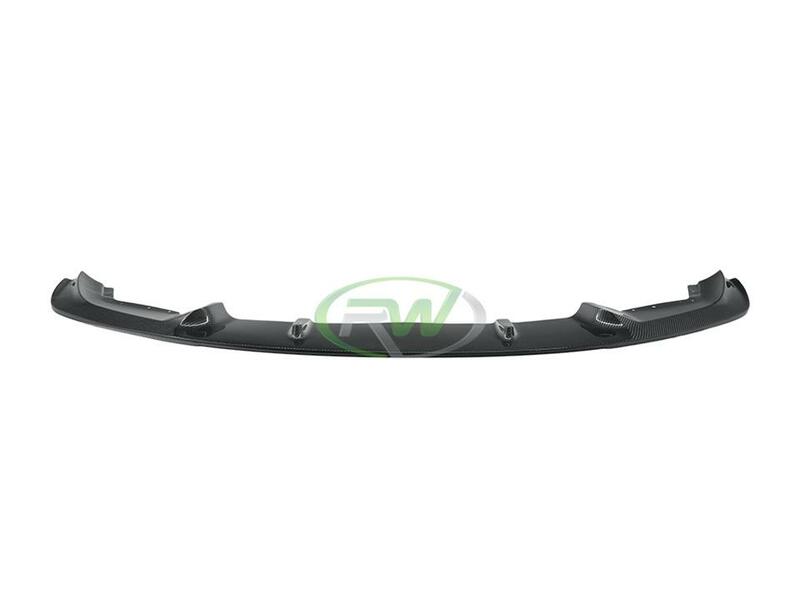 If you are not happy with the fitment or quality please contact us and we will assist you.